Why purchase FAVC-Y8150 with a DeltaBreez Single Speed Fan? •	Delivers a whole house ventilation solution for proper airflow, without sacrificing efficiency. •	Provides balanced ventilation to improve indoor air quality. •	Cost-effective ventilation solution vs. an ERV/HRV to save money. The FAVC-Y8150 Fresh Air Ventilation Control System provides optimal ventilation to improve indoor air quality in your home. The system can be used with most DeltaBreez bathroom ventilation fans with custom, “set it and forget it” programming. Enjoy fresh air and peace of mind, all at an affordable price. 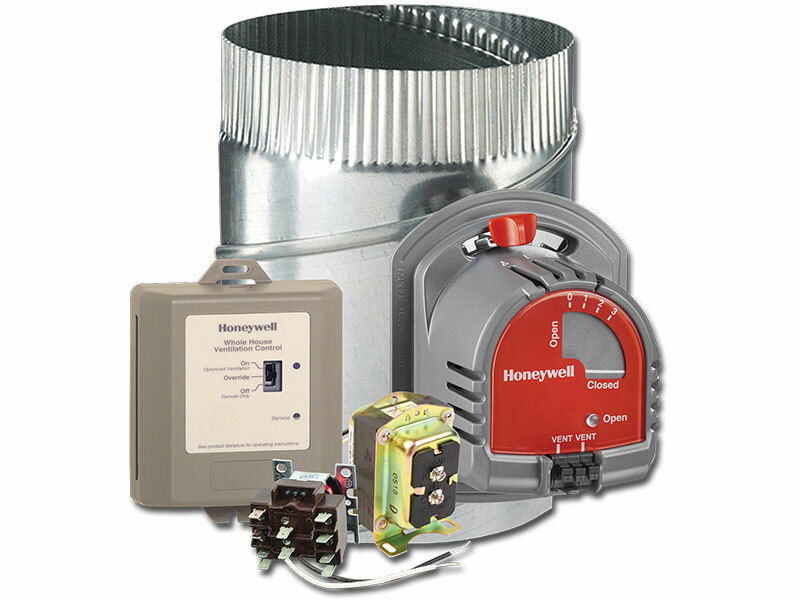 SYSTEM INCLUDES: fresh air ventilation control; 6” fresh air damper; transformer and mounting hardware for control; switching relay; complete installation instructions. 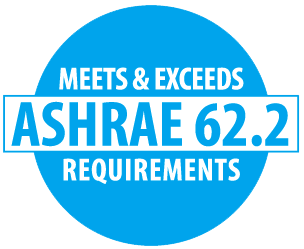 ASHRAE standard requires ventilation based on dwelling size and occupants only; easy-to-use input dials allow for customized ventilation for each dwelling size and occupancy. A “set-it-and-forget-it” program calculates the amount of ventilation needed in the home based upon these custom settings. Test mode provides immediate feedback to installer to confirm that air delivery requirements of selected ventilation standard are being met. 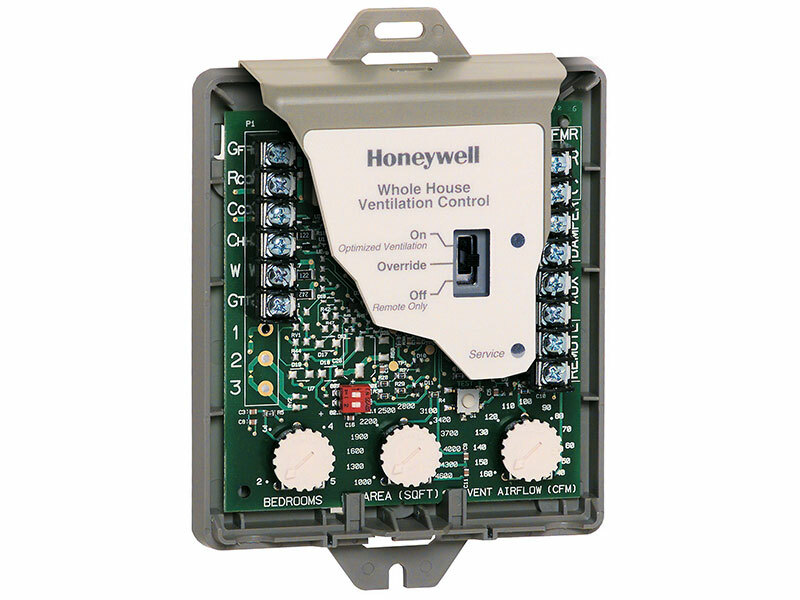 Controller is installed in HVAC room only vs. in the dwelling, so it cannot be manipulated by occupants. The FAVC-Y8150 is designed Designed to help meet local ventilation codes and standards, including ASHRAE 62.2-2010 standard, “Ventilation and Acceptable Indoor Air Quality in Low-Rise Residential Buildings”. • Provides whole house ventilation control integrated into the welling’s central HVAC system for proper airflow, without sacrificing efficiency. • Economical supply-only ventilation works with most DeltaBreez fans and/or forced air system. • Test mode that includes immediate feedback to installer to confirm that air delivery requirements of selected ventilation standard are being met. • Economical supply-only ventilation; works with your Delta fan and/or forced air system. • Can be used with other equipment, such as an HRV/ERV, for balanced ventilation.